Jared Unzipped: The Secret Behind Tarot Cards. What secrets are hidden inside my box? None, I assure you. Many of you may not know this, but I learned how to be a Tarot reader about fifteen years ago. Shocking, I know! Now, let me be perfectly honest with you -- Tarot cards have zero enchanted capability whatsoever. The cards hold no mystical power. Tarot can't find your soulmate. Tarot can't predict the future. Tarot can't tell you when you're going to die. The Tarot is merely a deck of cards with different meanings that can be interpreted to provide guidance. That's it. No magic or psychic ability is required. I've always found the culture surrounding the Tarot to be very interesting. 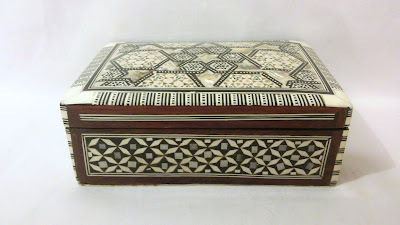 It was originally developed in the mid-15th century for card games, much like modern playing cards are used for Poker or Blackjack. In fact, playing cards are essentially an offshoot of the Tarot. To this day, Tarot card games are still very popular in many places in Europe, especially France. Tarot cards didn't take on any magical connotation until the late-18th century, when occultists and mystics claimed they could use the cards for spectral purposes. When used for occult purposes, the Tarot is divided into two halves -- the Major Arcana and the Minor Arcana. The Major Arcana is comprised of 22 non-suited trump cards. They are the most easily recognizable. The Major Arcana cards are considered to be the most powerful and convey the greatest meaning. 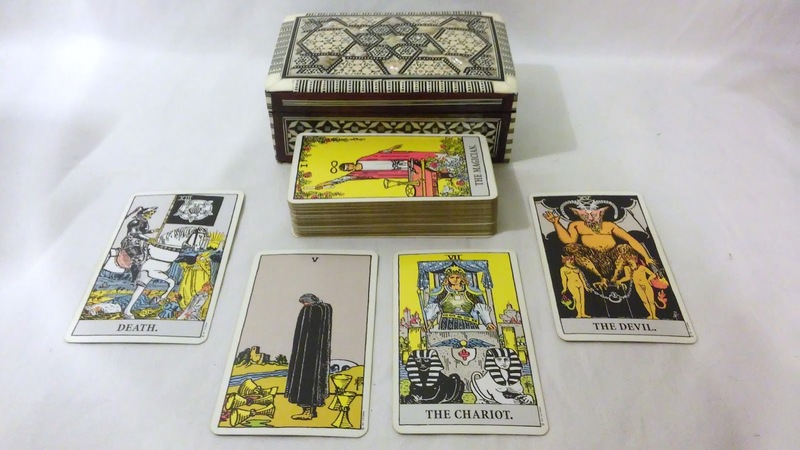 They can have either a positive or negative impact upon a Tarot card reading. Though, these cards shouldn't always be taken literally. 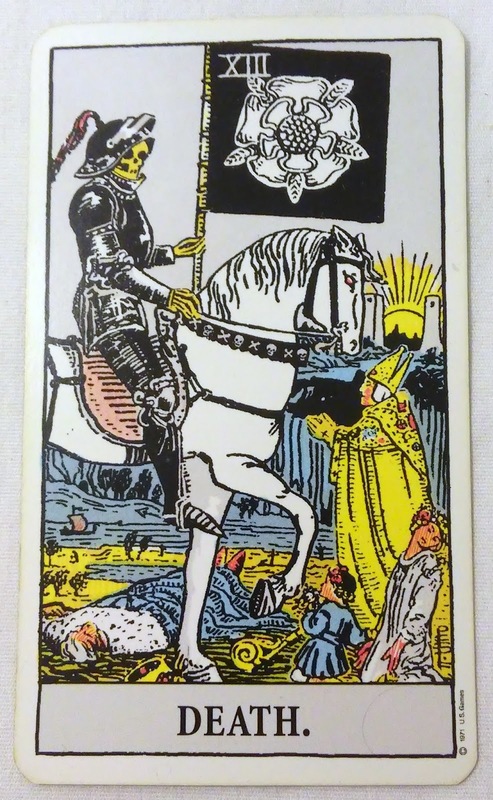 Many people fear drawing the Death card, but it usually should be interpreted as something coming to an end, or a change in the status quo -- a new job, a new lover, a move to a new home, etc. 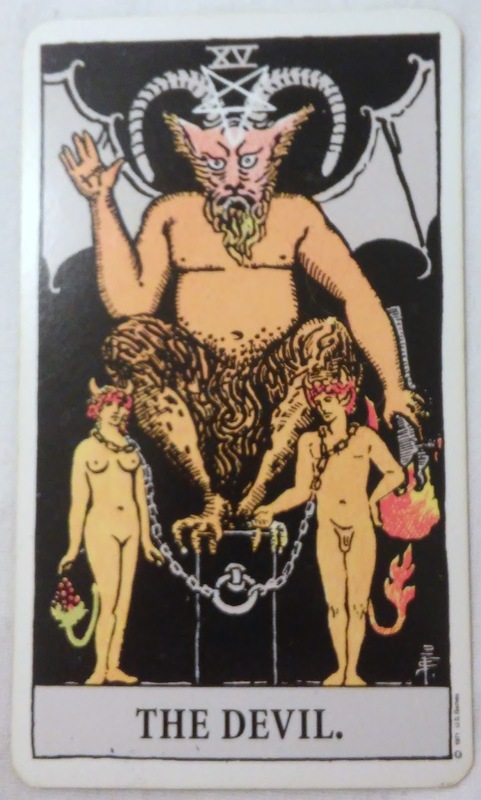 Likewise, drawing the Devil card isn't necessarily a sign of evil; it usually represents seeking pleasure and joy, or learning what makes you truly happy. The Minor Arcana is comprised of 56 cards divided into 4 suits of 14 cards each, ranging from Ace to King. These suits can vary slightly from deck to deck, but most use Wands, Swords, Pentacles and Cups. These cards are said to bear lesser broad influence, but can bring more specific details out of a Tarot reading. 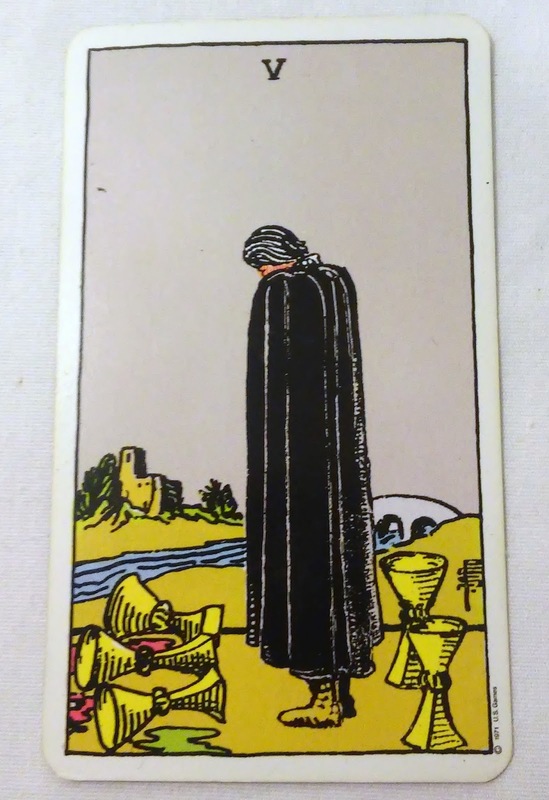 For example, the Five of Cups represents shame and regret. 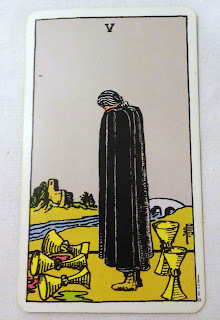 The receiver of the Tarot reading is said to be experiencing sadness from the loss of an important person or object. Yet, the Five of Cups also serves as a reminder that not all hope is lost -- all things can be found once again. When performing a Tarot reading, it's the job of the reader to interpret the cards pulled as one complete narrative. You must combine the cards into a single message, connecting each card together like the pieces of a jigsaw puzzle. Once linked, the cards can form one comprehensive meaning. Rarely will you ever see a Tarot reading involving a single card. That's like listening to the first minute of a motivational speech, then walking away like you've got the whole gist of it. The more cards drawn, the more detailed a reading can be. Obviously, the better you are as a Tarot reader, the more personal and helpful your readings can be. Mastery can only be achieved with experience, practice and knowledge of the cards themselves. As is the case with most things, being able to read people is perhaps the most important aspect of a successful Tarot reading. It's all about picking up on a person's tone and body language. Being an instinctive listener is perhaps the first step to being a capable Tarot reader. Applying what you can glean from your subject is key to interpreting the cards themselves. 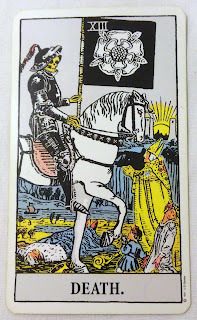 In the end, Tarot cards are all about providing helpful guidance or advice. Perhaps you're unsure of what to do with your life, or you're questioning a recent financial decision. The key to using Tarot is that the reading must provide confidence and fortitude to the subject. Tarot should never be used in an irresponsible or degrading manner. The reader must use the message to inspire the subject and make them a better person! 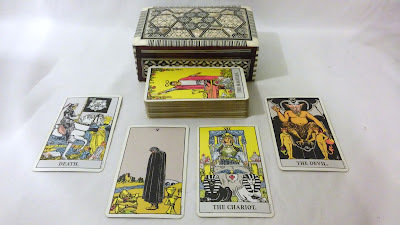 As a Tarot reader, I believe letting your subject know that the Tarot is not magic is extremely important. Being upfront about how the Tarot works is imperative. If the subject is paying you for a reading, then these facts are all the more crucial. The power ultimately rests with the subject themselves -- they can (and should) use the reading to improve their own life and make better decisions. Much like reading a book of inspiring quotations or watching an uplifting film, the Tarot is all about encouragement and self-determination! Any payment for services rendered should be viewed from a singular perspective -- you are providing an opportunity of enlightenment for the subject to better understand their own existence. If you're interested in learning more, or would like a reading, don't hesitate to ask me! I promise -- you won't be tampering with any ghosts or specters behind the veil. They're just cards with pretty images printed on them. The "power" resides in you.